Its been a while since I last did a “Follow Me To” so I thought it would be nice to bring this back out. 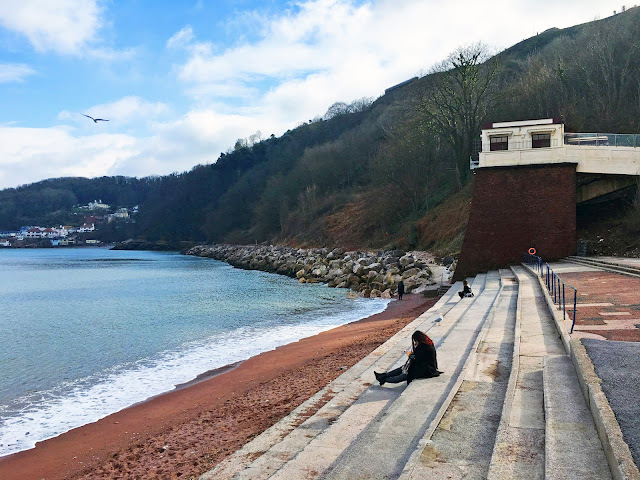 For years Mum and Dad have been telling me how much they love Torquay but I’d never been so in March we packed a bag and headed for a family weekend by the sea. Yes, I know it's August now but life kind of got in the way of my blog, but I hope you enjoy it anyway! Considering it had been snowing the week before, we were mostly lucky with the weather, apart from our first evening when it rained non-stop! We didn’t fancy going out so we ate dinner in our hotel which was….interesting. It kind of became a running joke over the weekend, because every time we went to dinner it was something new and equally awful! The hotel was kind of like faulty towers but in a great way. After dinner we headed into the ballroom for some really entertaining entertainment - the hotel was aimed at the more mature generation (I tried to word it delicately! ), and watching the “Welsh Grans” (as they called themselves) doing the Cha Cha Slide was incredible! The next day Mum and Dad said we needed to go to Living Coasts. I wasn’t sure what it was but I was told there were penguins so I was happy. In my mind I’d built it up to be some birds under a canopy on the seafront, so I was taken aback by how big it was when we got there. The centre had seabirds, penguins, seals and fish to name a few, and the parts in between we great as well. 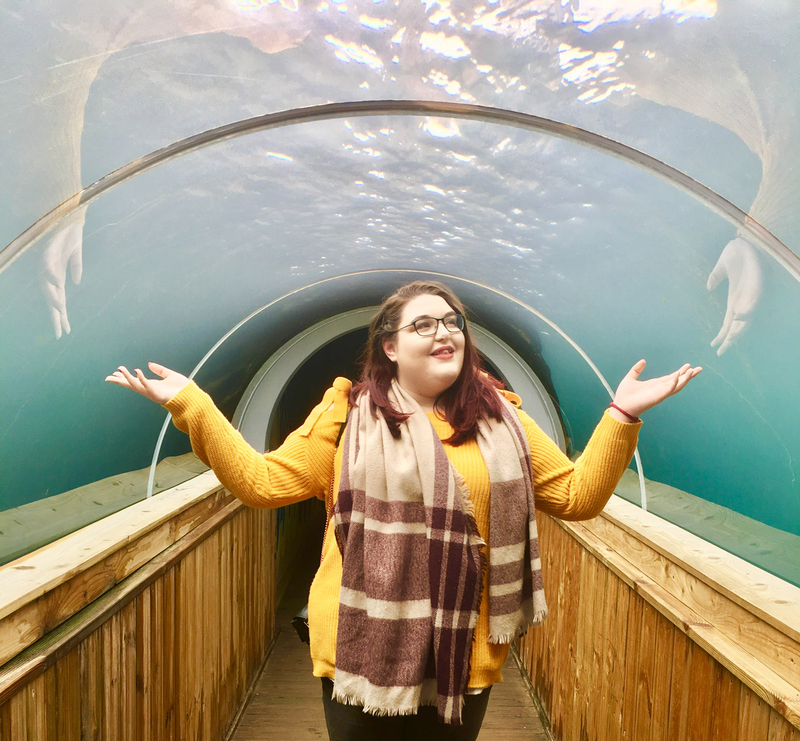 I know I’m 21 now and technically meant to be an adult, but it was really good fun crawling under the fishtanks (yes, it was meant for children), although I reappeared wet and covered in sand, which is worrying considering the amount of water in the fish tank!! After wandering around Living Coasts we’d worked up an appetite and crab sandwiches absolutely taste like the seaside so we found a little cafe and stopped for lunch. The cafe was just around the corner from Babbacombe Cliff Railway which isn’t a traditional train. It’s a funicular railway, and I’m not smart enough to know what that is but basically you put water in and let gravity do the work. There isn’t really anything at the bottom - the attraction is more the journey, so we went for a walk along the beach then went back up to the top to find Mum. In the evening we went back to the hotel for dinner. The hotel is geared towards older guests, but we decided “sod it” and full embraced the spirit of the hotel by joining a game of bingo while Dad looked on and laughed, followed by watching the Welsh Grans do the conga which was a definite highlight of the weekend! The next morning we got up early, checked out and drove to Paignton for a trip on the steam train (yes I know, another train!). 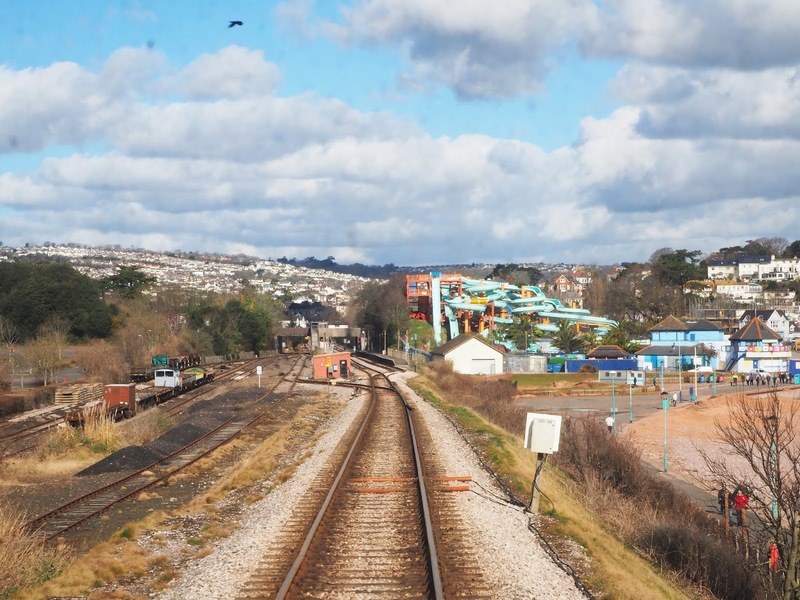 We went all the way to Dartmouth but as Mum can’t walk we got the train straight back, had lunch in Paignton then drove back to Dartmouth for a look around. Brunel built a train station on both sides of the river, but was never allowed to build a bridge to connect the two, so we were given boat tickets with our train tickets. I feel like me and Dad are transport nerds so we drove to the left side, got the car ferry to the right bank, did two journeys (right to left and back) on the passenger ferry, then went back on the car ferry when it was time to leave. Confused? Us too, don’t worry!! When we finally settled on the Dartmouth side of the bank we went for a wander, found a little coffee shop and relaxed for a while before driving back to Bristol. We got back quite late, but it felt like we’d had another full day of holiday. 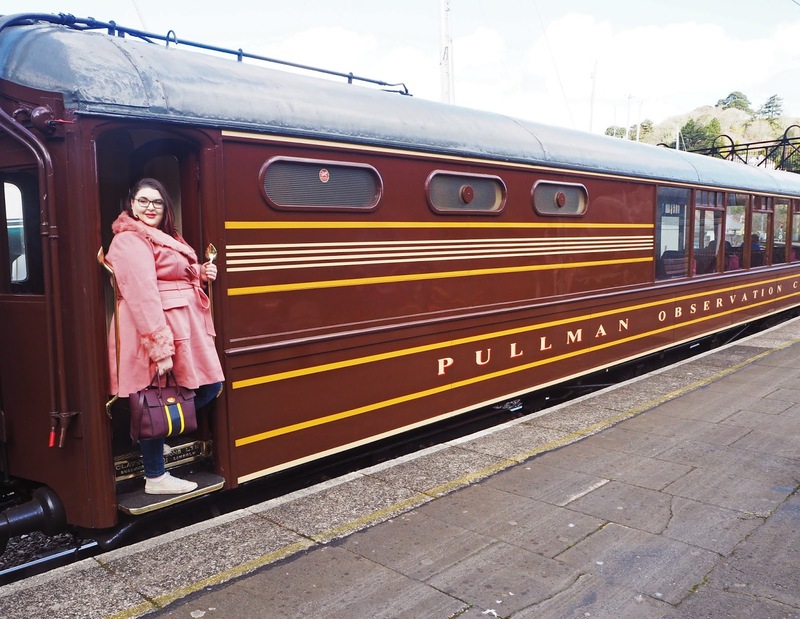 Considering how close it is to Bristol, I can’t believe I’ve not been before, and I can’t wait until I can go back again!! Where should I go next? Let me know in the comments below or on Facebook, Twitter or Instagram.